Living Texts envisions a method of preserving texts and images in the form of biological molecules, or in living beings themselves. 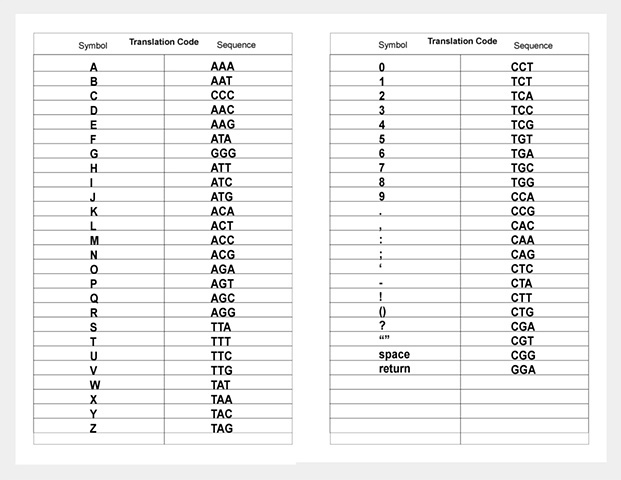 Texts and images are translated into the "living language" of genetic sequence and genetic code, which consequently can be used to construct DNA molecules and proteins that can then be inserted into living organisms or replicated/mutated/re-translated/etc. autonomously.